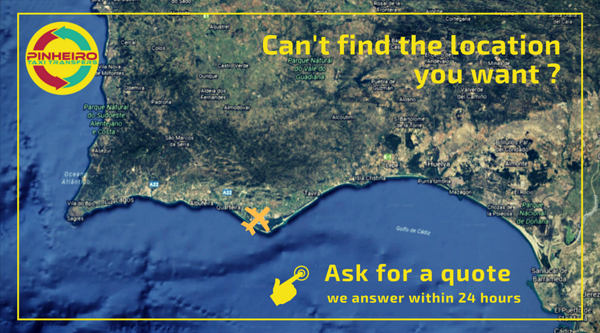 We provide direct transfers from Faro Airport to any hotel, resort, holiday villa or local in Alvor area. Some Hotels and Resorts available in Alvor area. You choose where... we take you there! 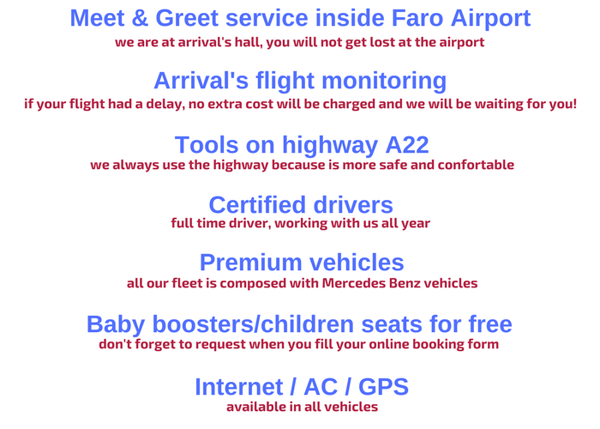 Your private transfer from Faro Airport. The village of Alvor is one of the few villages of the Algarve that keeps the original architecture, allowing a trip in the time to a full village of color, tradition and sun. With a beach with 3km of extension, of white sand and calm and tempered water, don´t waste the chance to give a stroll for the wooden causeway that covers dunes. In the marginal zone, enjoy the several esplanades, restaurants with sight it Ria de Alvor to contemplate a fantastic sunset. In the outskirts of Alvor it finds beaches equally spectacular as it is the case of the Praia da Rocha (Rocha Beach), Praia do Vau (Vau Beach), Praia dos 3 Castelo (Beach of the 3 Castles) and Praia de Ferragudo ( Beach of Ferragudo). On other side of Rio Arade it finds Ferragudo, a fisherman village with a fantastic sight to Rio Arade (Arade River) and Portimão.